Jay V. Patel, PharmD, MBA is the Clinical Transformation Officer at Seniorlink, a care collaboration solutions company that balances human touch and technology to deliver better outcomes at lower cost for providers and health systems. In this role, he leads Seniorlink’s Center for Clinical Excellence and has responsibility for building a data-driven, clinical engagement model that empowers the caregiver and the care teams that support the patient. 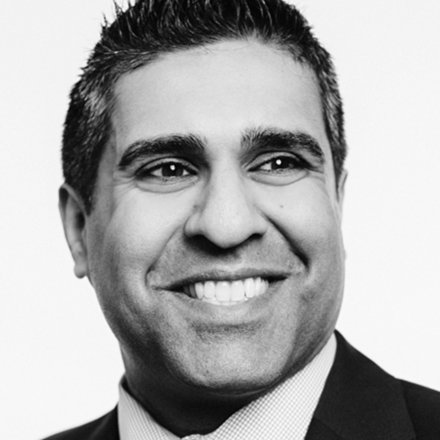 Prior to joining Seniorlink, Dr. Patel was the Vice President, Clinical Programs at Cigna, where he led the design, development and launch of clinical pharmacy programs for Cigna’s commercial business. He also provided strategic direction on the integration of pharmacy data and resources into comprehensive health management solutions and pay-for-performance relationships with network physicians. Dr. Patel received his Doctor of Pharmacy from the University of the Sciences in Philadelphia and his MBA from Harvard Business School.